People are buying analog again. At least, that’s what the latest sales numbers say. According to some recent figures, cassette sales saw a 74% increase in 2016. Last year over 129,000 fussy little tapes were sold, compared to only 74,000 the year prior. Some of the year’s best sellers were Justin Bieber’s Purpose and The Weeknd’s Beauty Behind the Madness – two new albums from last year – and classic tracks like Eminem’s The Slim Shady LP and Prince and the Revolution’s Purple Rain. The best seller of all? The Guardians of the Galaxy: Awesome Mix Vol. 1 soundtrack, with 4,000 sold in each year. But cassettes weren’t the only analog medium to do well – vinyl sold a sizzling 13.1 million albums over the course of last year. The source of the data is Nielsen Music, a US-based entertainment information and audience measurement company, and while the cassette sales were the most interesting part of the report, the company also reported a 3% growth in music consumption overall. 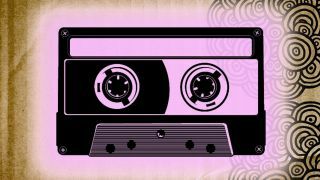 The cassette sales numbers are surprising, obviously, but you might want to resist the temptation to hunt down some discount tape decks – the numbers aren’t that promising. While cassette sales nearly doubled, the format only sold 129,000 tapes. Compare that number to the 723 million digital song downloads last year and 431 million streams, and it’s easy to see that digital is still killing analog. Plus, and perhaps most importantly, cassettes sounded awful.